Christmas is about food (among other things), and in Spain it’s no different: food is the perfect way to gather the family, sit down to a huge meal, and talk and drink for hours. 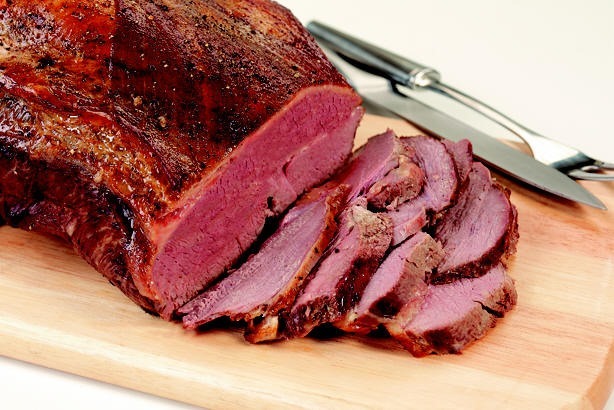 What foods remind you of Christmas? For me, it would have to be turkey, ham, mashed potatoes, pies, and Christmas cookies. Let’s not talk about eggnog, please. In Spain, things are a little different (as always). What do Spaniards eat at Christmas? 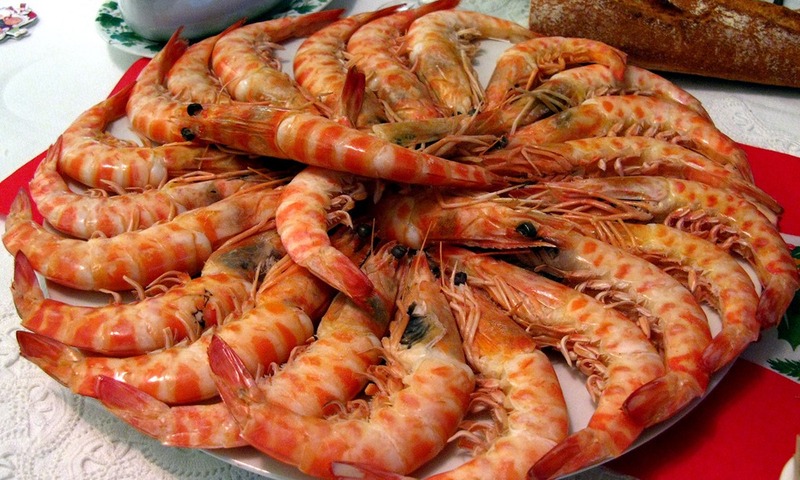 If you don’t know much about Spain, this may surprise you: Seafood? At Christmas? But yes, it’s true—seafood is one thing my students always mention when we talk about Christmas meals. Shrimp, prawns, octopus … you get the picture! Christmas and seafood, mariscos in Spanish, are not incompatible. Here in Spain, the selection is almost always fresh and good quality, so what’s not to love? Except if you’re an octopus hater like me. 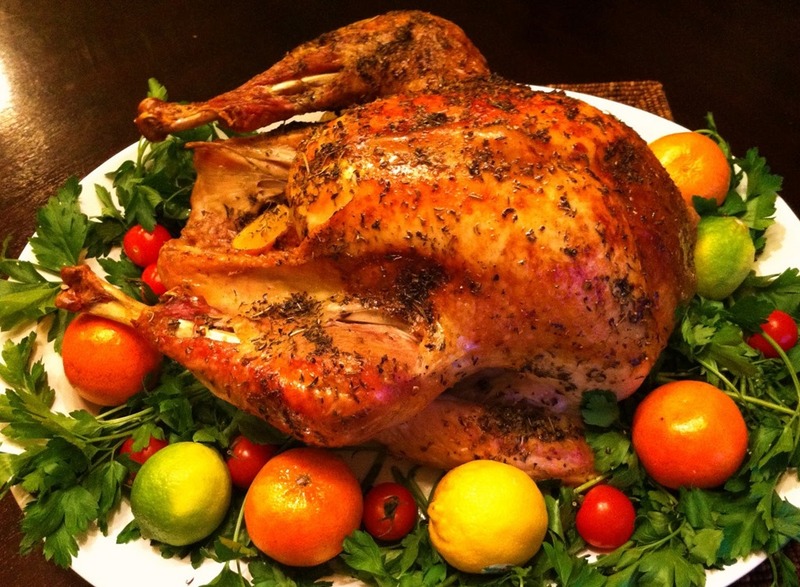 Turkey is difficult to find at Thanksgiving time, but it isn’t uncommon during Christmas. While perhaps not as universal as seafood, it is indeed common. Americans tend not to eat a lot of lamb, and I had often asked myself why not. Turns out, there’s a story behind this that involves American soldiers during World War II having to eat mutton (lamb’s tough, less-appealing older brother) and, upon their return, eschewing lamb for other meats like turkey and ham. (Read more.) But lamb is delicious! Mario and I had suckling lamb (lechazo) at our wedding, as it is a specialty of Castilla y León’s. Other meats include red sea bream (besugo in Spanish), capón (castrated male chicken), and the pularda (a young chicken). 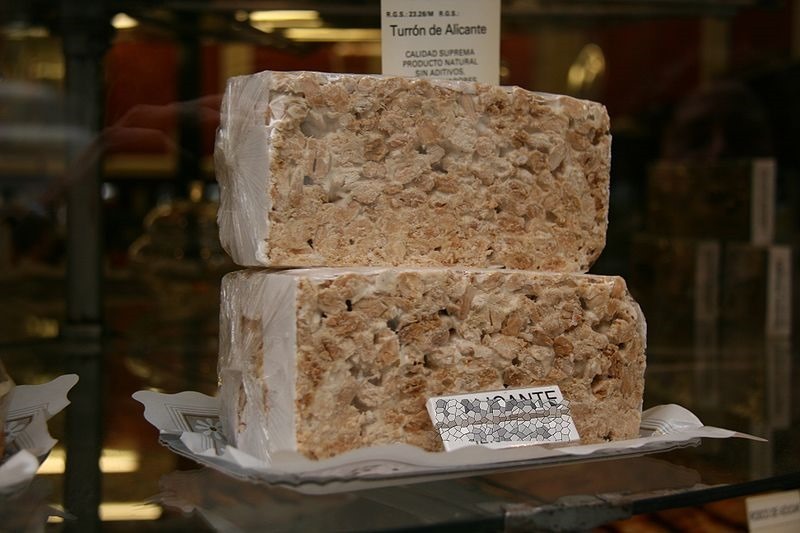 Turrón is Spain’s answer to pie—it’s everywhere you look, although people normally don’t make it themselves; they purchase it. And you can find it in almost every single store. It’s normally made of honey, sugar, and egg whites with toasted almonds. However, there are infinite varieties, and the final product can be hard or soft, crunchy or chewy. Some other kinds that people have spotted include Irish Coffee and Tutti Frutti (!). There are several different quality levels, going from Suprema to Extra to Estándar (standard) to Popular. Its origin is Moorish, and it’s said to have been invented over 500 years ago in Jijona, a small town near Alicante. Nowadays, there is a turrón museum there, and Jijona continues to produce turrón. 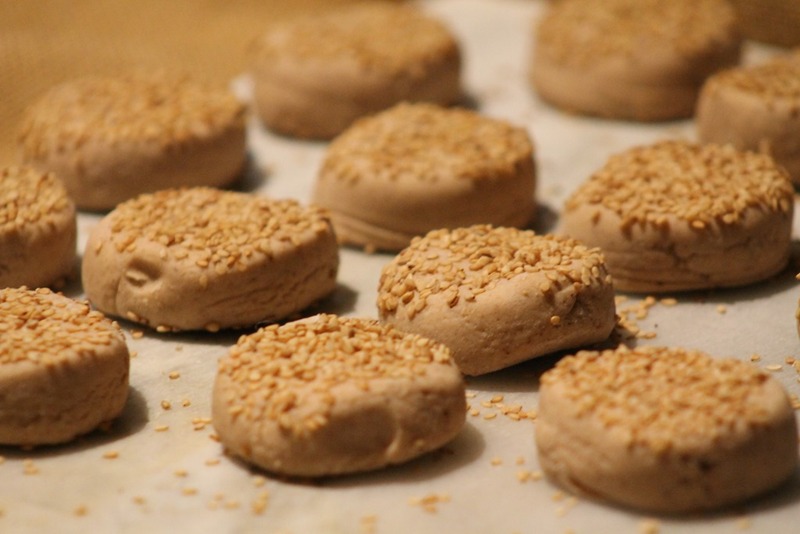 While we have gingerbread and sugar cookies, Spain has mantecados and polvorones. I’m not a huge fan of sweets in general, so I profess to not loving these. They’re made from pig lard (manteca in Spanish means lard), and, as Cat says in her post, often mass produced. As a former resident of Toledo, king of marzipan, I profess to loving this overly sugary treat. I don’t normally have a sweet tooth, but there’s something about this combination of sugar and almonds, often formed into shapes. This sweet is not eaten at Christmas, but at Epiphany (January 6), which celebrates the arrival of the three wise men (reyes magos). Traditionally, children would get their presents on this day, though nowadays many receive presents on Christmas Day and Epiphany. 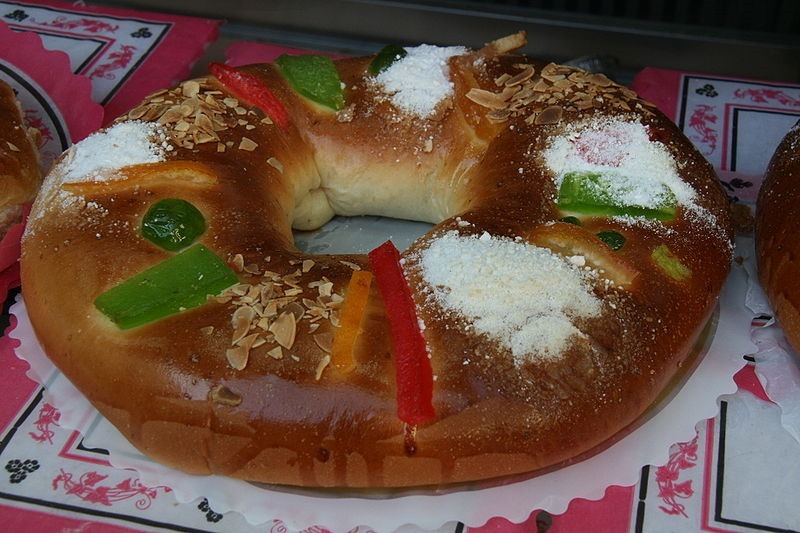 The recipes varies greatly, but the roscón is traditionally decorated with fruta confitada, candied fruit, and is sometimes filled with whipped cream. If you buy yours in a shop, they will often have a figurine hidden in the cake (like the baby Jesus). Whoever finds the figurine is the “king” of the fiesta, whereas whoever finds the fava bean has to pay for the roscón. If you’re Spanish, what do you eat for Christmas? If you’re not, tell me anyway. I’ve only been to one Spanish household Christmas, and I remember tons of seafood – king crabs, boiled shrimp, baked dorada, and HAM. My sister in law only eats beef and chicken, so you can imagine her disgust at, um, everything on the menu. Thanks for the link, too! Have a great trip home and eat pie for me! I’m still not a fan of polvorones or roscón. I prefer the traditional orange cake that I make every year with my grandmother. Last year was my first Christmas in Spain and I loved the homemade croquetas, pulpo on Reyes, and, of course, all the ham! I bet it was delicious! I know Mario’s aunt makes some amazing croquetas (he basically compares every croqueta he eats to hers, and none are ever up to her standards), but I’ll have to ask him whether she makes them for Christmas too. Knowing the amount of food they eat, probably. The more food, the merrier. Right? turkey at Christmas? no thanks! we’ve never had it at home….well Spain is a regional country with great divergences from region to region so i can’t speak for my fellow countrymen….and women, but turkey does sound foreign to me on a table at Christman time. Seafood? YES! love it! give me seafood at any time, not only at Christmas! seafood is quite common at Christmas times, a lot of people eat it….the best of the best, or bestest? superbestest? Lamb? anothet thing that is common at Christmas, we always have it together with seafood, although we only have “costillas”. Castañas are another thing too common at Christmas. I also love polvorones and mantecados….turron is another famous thing, but i only eat the one with chocolate and puffed rice…the hard one with almonds is a pain in the arse because it’s too hard and i get exhausted of so many almonds and the hard thing between the almonds, also the sound that comes out when eating it is like an earthquake cracking the earth, i just can’t stand it. I don’t like mantecados nor polvorones because they are too dry and it’s like eating earth, gosh. On the other hand, give turrón duro and I’m the happiest girl in the world. I can eat a whole torta on my own, in no more than 20 minutes (a shame, I know). I JUST LOVE IT! I don’t like the blando one, though. Too chewy. 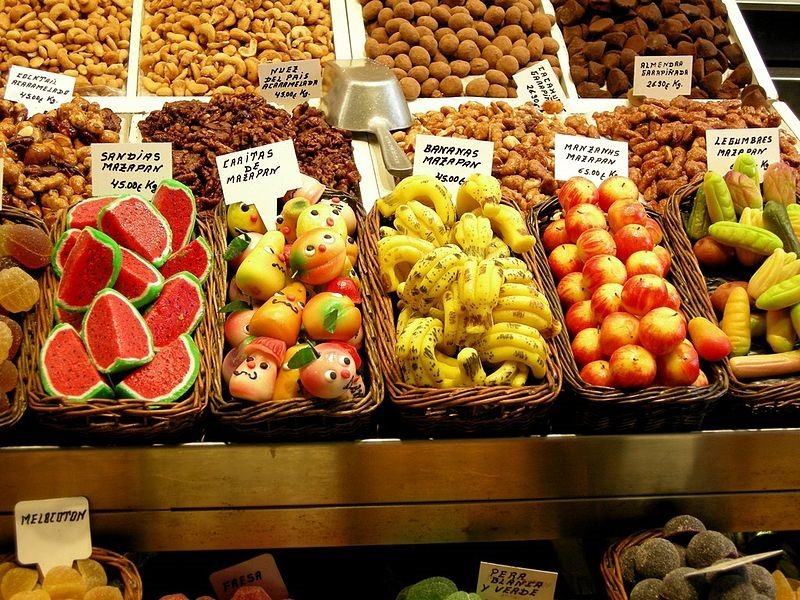 Most of our sweets are from Arabic origin so they have almonds and honey, and in a lesser degreee peanuts or other nuts. I think it’s great the way they have evolved. I agree with Pedro in the previous comment, it not only differs from region to region BUT ALSO from families. In my family, the meat would change often, who knows why. I’ve eaten turkey, lamb, pork, and chicken cooked in different ways. And prawns are always the starter and the pre-dessert, hahaha! hey Irene, thanks for bringing up peladillas! 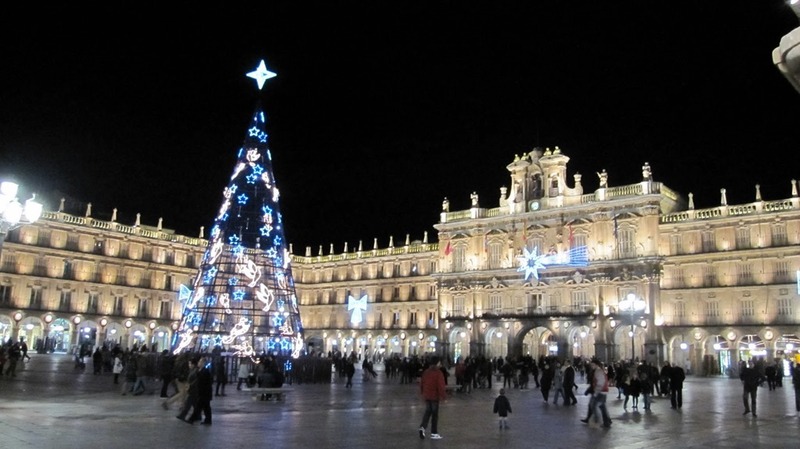 i just forgot a lot of things we eat….i did recommend Susan, another blogger, to eat peladillas and also cordiales…..cordiales are not my cup of tea, but you know, it is one of the most common ‘dulces navideños’. you’re right…menus change from one family to another one, but i think that seafood and jamon serrano are eaten by almost everyone. as i said before we’ve never eaten turkey, but maybe it’s because we are a family of fishermen so turkey as lunch or dinner is a weird thing that has never been on our table. you’re welcome! you actually taught me something new as I’d never heard of cordiales. Actually Mario mentioned peladillas and I forgot to mention them. He said he ate them a lot more when he was younger, now not so much. I also ment ham not as serrano but as the big pork leg… is it also called ham? I don’t know if you picture it. I’m not surprised by the ham! Spaniards eat that year-round, regardless of whether it’s Christmas time or not! We usually eat goose as the “meat centerpiece” but this year the goose was too expensive, so my dad opted for duck confit instead. There will also be foie gras, smoked salmon/pate, butternut squash soup, and more that I’m forgetting… Yule log served in a custard cream and sugar cookies (some gluten free for my sister who has Celiac’s) for dessert. It’s a weird mixture of French and American recipes. Have you ever spent a Christmas in Spain Kaley? Or do you usually go home? I love yemas, glorias and Pan de Cadiz too (http://www.turronesverdu.com/77-yemas-250-gr.html).On the other hand seafood is likely the only common thing among spanish households, you have mentioned various meats, however I have had fish for the main dish many years. Anyway, I wish you a happy new year. What we have in Manila during “Pasko” varies from household to household, or region to region. Since we’re kristianos our comida is heavily influenced by our colonizer. Por lo tanto, tenemos lechon, leche flan, frutas frescas, sopa de ajos, jamon de china, arroz valenciana, polvorones, tortas (sweet and savory) and lots of agua de pataranta (read: to be confused like the bite of tarantulas) or alcoholic drinks.